Are you looking for top-quality car window tinting service? Or perhaps you’re considering residential window tinting or commercial window tinting for your Rancho Santa Fe home or business. The Tint Devil® delivers, combining the premier lines of window films from leading manufacturers with installation by expert technicians. 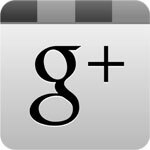 Quite simply, we rank as the best for Rancho Santa Fe commercial, car, and home window tinting. Superior window films give superior results in solar control as well as in appearance. Blocking most of the sun’s light and heat they reduce glare and keep you cooler in summer and late afternoons with signification energy reductions. Window tinting can also block nearly 100% of the sun’s harmful ultraviolet light (UV rays) to keep interiors from fading while adding strength and shatter resistance. You can choose just about any tint and shade, from nearly invisible to almost black as well as reflective steel, copper, and other designer looks. When you choose Tint Devil you’ll always have a nationwide manufacturer’s warranty, and many lines include lifetime coverage against, peeling, cracking, fading, and demetalization. Our superior installation by expert technicians makes us your best choice for Rancho Santa Fe. Whatever window tinting service you choose from us — whether auto, home, or commercial — you’ll have flawless scratch resistant and fade resistant window films. And you’ll have our own lifetime guarantee against bubbling, cracking, and peeling. It’s hard to say why most people choose car window tinting. Our automotive tinting service adds sharp looks and sleek privacy with a wide variety of colors and shades, but provides some very practical benefits as well. 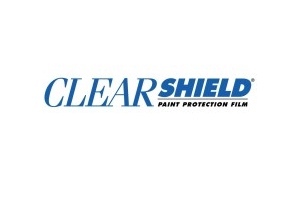 Car window films can block 99% of UV rays to preserve dashes, seating, and trim in top condition. That’s especially important with leather, cloth, and wood-trim interiors. They span a wide range of light transmission levels, blocking as much as 63% of the sun’s total energy for reduced glare and improved comfort. We stock numerous lines from leading manufacturers, including Solar Gard®, Johnson, and Galaxie™ for the best in durability and optical clarity. That includes premium all-metal films from INFINITY OP™ and Sunteck (the same company that makes photovoltaic solar cells and advanced custom coatings), reflective aluminum and charcoal-dyed finishes, and non-reflective shades and tints from light grey to charcoal black. To save you time and distraction we can also complete on-the-spot windshield and auto glass repairs, keeping the factory seal intact and achieving an invisible optical match. Our experts can also perfectly match factory tinting. Rancho Santa Fe may be a small local village with just a few shops and restaurants, but it’s also home to Jenny Craig and Bill Gates (https://en.wikipedia.org/wiki/Rancho_Santa_Fe,_California). 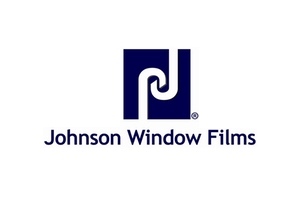 So we’re proud to provide commercial window tinting services. 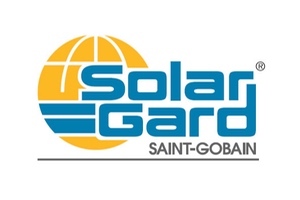 Products from companies such as Solar Gard® provide a modern professional look together with solar control for energy reduction and improved employee and patron comfort. Security films add even more strength and shatter resistance, reducing the potential for storm damage and the injury hazards of glass breakage. 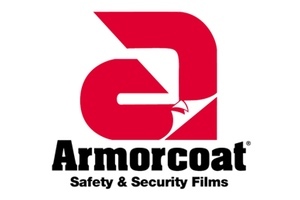 Many of the security films by Armorcoat have been specifically tested against CPSC (Consumer Product Safety Commission) impact standards. And virtually-invisible graffiti films such as Graffiti Guard protect interior and exterior glass. That’s not just against spray paint. Easily replaceable, they provide outstanding protection against gouging and scratching as well. Home window tinting delivers a host of benefits, and you can choose anything from barely noticeable to high-privacy. 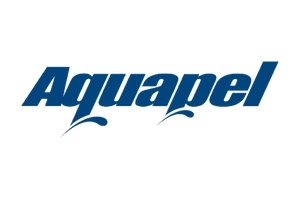 Designers choice Decogard™ delivers long-lasting quality and privacy for sun rooms and baths. Residential window tinting films from Solar Gard® with Durogard® have added scratch resistance that makes them even longer lasting. Their lines of superior metalized films are made of gold, silver, and/or bronze for exceptional solar control. Their lines also include a unique exterior copper finish. Home window tinting can block up to 82% of the suns total energy to reduce glare and improve summertime thermal comfort. And by reflecting interior heat (infrared light) they reduce winter window heat losses by up to 30%. They can eliminate glare so you can forget frequent drape and blind adjustments and just enjoy the view. Blocking nearly 100% of harmful UV rays your artwork, carpets, and furnishings are protected against fading and other premature aging. That’s a lot to come from a single product! Our experts will advise you on your best selection given your particular priorities, and we’ll always deliver top-quality materials and craftsmanship. After a quick installation with little or no disruptions you’ll reap benefits year-round, year after year. You’ve probably already heard about it. The “Secret” Car Club holds weekly events in Rancho Santa Fe featuring the earliest to the latest automobiles. Started in 2010 it displays vehicles owned by men and women from all walks of life, and everyone is welcome. Rancho Santa Fe was also the location of last year’s Grand Classic Car Show.